Trada Casino is a dependable gambling operator which promotes itself as “fun, fair, and fast”. Some may say this is nothing but a marketing trick but such a statement could not be further from the truth. Trada Casino indeed offers some of the shortest withdrawal timeframes out there, along with a fun gaming library which comprises hundreds of games. Fair play is also guaranteed as becomes apparent from the casino’s certifications issued by TST and iTech Labs. There are 500 quality instant-play games at Trada, developed by multiple software suppliers to ensure the ultimate gaming diversity. The casino’s sleek website is home to a bevy of advanced and classic slots, numerous video poker variations, and many authentic table games which will make you forget you are gambling from the comfort of your own home. The list of the developers behind the games at Trada is quite long as the casino has joined forces with multiple software companies to make sure the needs and preferences of all players are catered to. Microgaming, NetEnt, and iSoftBet have all contributed alongside lesser known developers like 1×2 Gaming and Pariplay. Mobile gaming is also supported to the benefit of those looking to test their luck on the move. Trada Casino strives to process all payouts as quickly as possible, which is why withdrawals are normally cleared from players’ account within 24 hours after they have been requested. Registered members of the casino can deposit and withdraw via a healthy range of secure and easy-to-handle banking solutions, including the popular options Visa, Skrill, MasterCard, Neteller, and Paysafecard. Your gambling experience will not be spoiled by concerns since the casino encrypts all players’ sensitive data with the best SSL technology. Both prospective and current members can participate in various promotional incentives and each day of the week is reserved for a unique bonus. Customer support is very professional and efficient, with assistance being provided throughout the week via the live chat option. In fact, the live chat service is so impressive that Trada has so far received two Casinomeister awards for best customer support, one in 2016 and the second one in 2017. The casino is legitimate and regulated as it holds licenses by its local Jersey Gambling Commission and the UK Gambling Commission. Online Since Trada Casino was launched in 2015 and is managed by the Jersey-based company TradaGames Limited. Minimum Deposit/Withdrawal The minimum deposit amount at Trada is £5. Players can withdraw as little as £10 while the ceiling is £10,000. No-Deposit Bonus New registrants can opt in for a No-Deposit Bonus of 50 Free Spins on Starburst. To release the winnings associated with the bonus, you need to deposit at least £10 and cover the 35x playthrough. 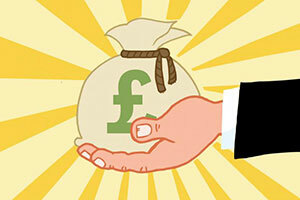 The maximum amount you can withdraw in winnings is capped at £100. 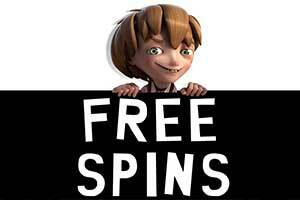 The free spins expire 7 days after they have been credited to your account. 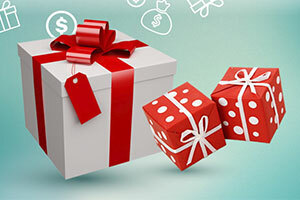 Welcome Bonus Trada welcomes newcomers of legal gambling age with a 200% First-Deposit Bonus of up to £50. The minimum qualifying deposit is £5. Wagering requirements of 40x the bonus amount apply. Bets are capped at a maximum of £5 while the bonus is active. Players who deposit with Neteller and Skrill are limited to betting no more than £2 per round. The bonus monies are voided 7 days after redemption. Regular Bonuses Existing customers of Trada Casino will benefit from a 25% Cashback offer of up to £800 where every £70 wagered on the video slots unlocks an instant reward of £2. There are no wagering requirements but you need to make a deposit with a real-money balance below £10. Loyalty Programme Loyal customers at Trada get the royal treatment with a VIP programme, rewarding them for each real-money bet they make. Players are not enrolled automatically, though. To join, you need to complete a brief questionnaire and send it out to the casino’s support team. Software Trada uses software by multiple developers – Microgaming, NetEnt, 1×2 Gaming, Pariplay, WMS, Pragmatic Play, iSoftBet, Playson, Scientific Games, and Evolution Gaming for the live dealer offering. Popular Jackpots At the present moment, Trada does not offer large pooled progressive jackpots. 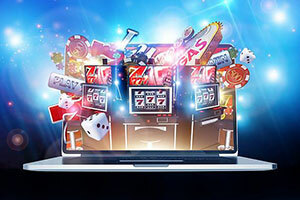 Game Types The operator offers a wealth of video slots, blackjack, pontoon, roulette, casino poker, baccarat, video poker, bingo, and arcades, developed by some of the industry’s top suppliers of casino software. Mobile Casino Trada Casino stands out with exceptional mobile playability as its website responds very well to smartphones and tablets, running on iOS, Windows Phone OS, and Android. The mobile casino is based on instant play so there is no need to download additional apps on your hand-held device. Live Casino The Live Dealer section features more than a dozen live table games, including blackjack, roulette, baccarat, casino hold’em poker, and the wheel-style game of chance Dream Catcher. Deposit Methods Deposits are accepted via MasterCard, Maestro, Switch, Solo, Visa, Visa Electron, Neteller, Skrill, ecoPayz, Paysafecard, AstroPay, Boleto, Trustly, iDeal, DineroMail, Euteller, Lobanet, Neosurf, Qiwi, Safetypay, Giropay, Sofort, Sporopay, Todito Cash, Trustpay, USEMYBANK, and Webmoney. Currencies Players can register accounts in USD, GBP, EUR, AUD, CAD, SEK, and NOK. Languages Trada Casino is available in English only. Support Support can be contacted via live chat, email at support@tradacasino.com or by post. You can send your queries on the following address – TradaGames Limited, Charter Place, 23-27 Seaton Place, St Helier, JE1 1JY, Jersey. Licensing The casino is licensed and regulated by the Alderney Gambling Commission and the UK Gambling Commission. Trada Casino is powered by a number of high-profile software providers, including Microgaming, NetEnt, Evolution Gaming, NextGen Gaming and others. By entering partnerships with these companies, Trada Casino was able to secure a wide and diverse selection of high-quality casino games. These come in many shapes and sizes, thereby appealing to a large portion of the general player base. Trada Casino’s gaming library comprises of many of the most popular game genres in the online gambling industry and there is much to discuss. 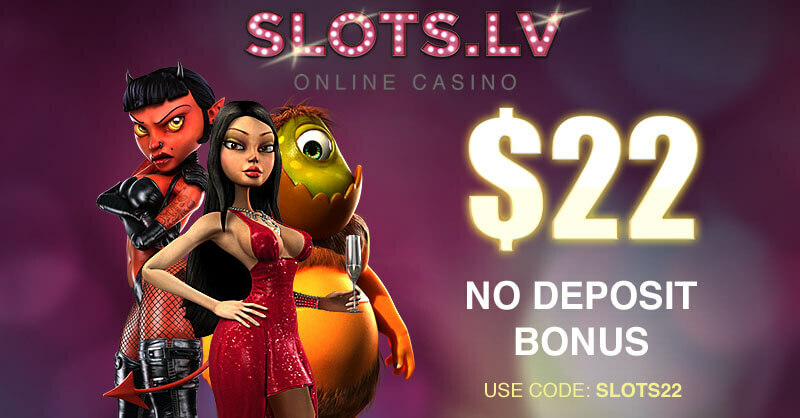 In short, this online casino is able to offer slots, table games, video poker, live dealer games and more. Below, we will cover all important game genres available at Trada Casino. Slots are the primary game type that you will find at Trada Casino and they make up the bulk of the gaming library. Due to the high number of unique slots, users will get to enjoy a wide variety of themes and aesthetics. This includes mythology with games such as Avalon I and II, Thunderstruck II, Odysseus, or branded titles, for example, Jumanji, Planet of the Apes, Game of Thrones, Jurassic Park and others. For fans of the vampire theme, there are several offerings which may appeal to you, more specifically, Blood Suckers or Dracula’s Family. However, if fruit-themed slots are more to your liking you will find many of them at Trada Casino, which may remind of you the slots of old. A great aspect of the slots at Trada Casino is that they are suited for players of every budget, with many of the having minimum spin values starting from £0.01 per payline. Often you will see that the maximum value of a spin can even go as high £200 when playing at the maximum coin value and using all paylines. In terms of type, Trada Casino can offer you several sub-genres. More specifically, Trada Casino’s slots selection includes 5-reel video slots, 3-reel classic slots and some combinations of the two. Overall, the slot games at Trada Casino can be characterized by their beautiful graphic design and entertaining gameplay. In short, if you are a fan of this game genre, then Trada Casino should definitely be on your short list of gambling websites. Roulette stands as one of the most iconic casino games of all time and it enjoys a significant presence in just about any land-based and online casino. This game type has been around for centuries and it has never failed to provide players with entertainment and satisfaction. Roulette stands out from other casino games due to the fact that the gameplay is simplistic enough for anyone to easily start playing, but also deep enough so that experienced gamblers might excel to a certain extent. Trada Casino is home to a good number of roulette titles each with its own unique twist on the genre. 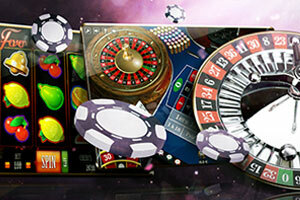 In the table games section, you will find many of NetEnt’s top quality roulette games. Some of these are designed with both casual players and high rollers in mind. For example, French Roulette and Roulette Advanced come with Low and High limit versions. The Low Limit versions will allow you to bet up to £50, which is ideal for players on a budget, whereas the High Limit games will accept wager as high as £6,000. European Roulette by NetEnt is also an excellent option as it has some of the best graphics featured at any virtual table games and it comes with good betting limits ranging from £1 to £500, depending on the betting option in question. Additionally, software provider iSoftBet also makes an appearance showcasing their great roulette titles. 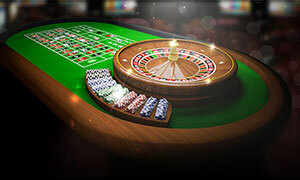 This company primarily offers the classic versions of roulette, such as American and European, but it also includes 3D and Silver Roulette. The betting limits on iSoftBet roulette game are mostly conservative and are geared towards players on a budget, with the maximum bet going as high as £10. The exception is Roulette VIP, where the betting limits are set between a minimum of £25 and a maximum of £50. 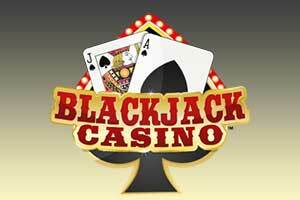 Blackjack is another major casino game genre which is available at Trada Casino. This game has a long history and it has enjoyed a significant presence in every major casino establishment in the West. 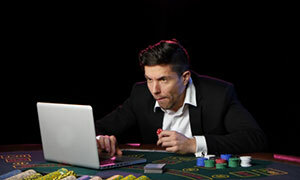 The exact origins of the game are not clear, but its modern-day iterations are some of the most played, both online and at brick-and-mortar casinos. Trada Casino is quite fond of blackjack it seems, given the fact that it offers an excellent selection of blackjack titles. This selection is primarily made up of NetEnt and Microgaming games, which is are known for their high quality. NetEnt’s Classic Blackjack series includes three different games with High, Medium and Low betting limits, where the maximum bet is £500, £40 and £5 respectively. Blackjack Pro is another NetEnt creation with multiple betting limit options, which are the same as Classic Blackjack. Moreover, Double Exposure is one of NetEnt’s most popular blackjack games, where both of the dealer’s hole cards can be seen. This game also comes with differing betting limits, the same as the ones mentioned above. As far as Microgaming’s offerings are concerned, you will find that they are just as good as those of NetEnt. Classic Blackjack by Microgaming is an excellent game to get you started as it is the most vanilla of them all. It is suited to all types of players, featuring betting limits ranging from £1 and £200, and comes with mostly standard rules. Atlantic City Blackjack Gold is a great alternative and this game follows the rules of Atlantic City casinos. This blackjack sub-genre is considered to be one of the fairest out there in terms of odds and it is a great game for any fan of the genre. Other titles by Microgaming include various Multi-Hand Blackjack versions of classic games, where you get to play with multiple hands at the same time. Video poker is one of the newest game types on this, tracing its origins back to the 1970s. Video poker can easily be described as a mix of slots and poker rules. When it first was released to the commercial gambling scene, video poker became an instant hit and it developed into one of the most beloved casino games. Video poker is available at just about any online casino and that also includes Trada Casino. The video poker titles found at this casino are some of the most beloved styles and you will have a great time with them. Deuces Wild is one of the available video poker titles that you will find at Trada Casino and it is one that enjoys a wide player base. The niche of this game is that the 2s serve as Wild cards and can stand in as any other card in the game. In terms of payout, Deuces Wild can be played with up to 5 coins and has a maximum payout of 4,000 coins for a Royal Flush. Other popular styles include Jacks or Better and Tens or Better, where the minimum qualifying hand is a pair of Jacks or a pair of Tens, respectively. All three of these games come in the Power Poker style, where each additional coin gives you an extra hand to play with up to a maximum of five. There is also a Bonus Deuces Wild variant, which comes with a slightly higher maximum payout of 5,000 coins for a Royal Flush. Progressive jackpots are among the most popular game types on the market. They offer players the opportunity to win a large pool of money, gathered from the bets of other gamblers. 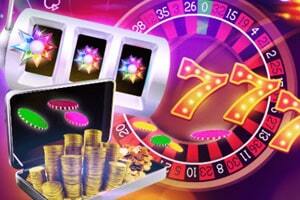 Progressive jackpots can take many forms and are not limited to one particular game genre. Unfortunately, Trada Casino does not offer any type of progressive jackpot games, as of the time of this writing. However, the casino is always looking to expand upon its already great service, therefore we can expect them to several progressive jackpot games in the future. Live dealer games are all the rage these days and rightfully so. They represent how far the online gambling industry has come since its inception and there is constant room for improvement. For those who are not familiar, live dealer games are physical games hosted by a professional dealer and streamed to players all over the world. They usually take the form of a table game, though there are several exceptions to this rule. Live dealer games are especially popular with the general player base and this popularity seems to be growing exponentially. While not all online casinos offer live casinos, Trada Casino is one of those that do. The live casino at Trada is powered by Evolution Gaming, one of the largest software providers, specialising exclusively in the creation of live dealer games. Their live dealer selection includes fan-favourite genres such as roulette, blackjack, baccarat and casino poker. The betting limits are quite wide, with some games having minimum bets as low as £1.00, while others go as high as £200. There is much variety in the live casino section and you can certainly get your money’s worth by playing at Trada Casino. What currencies does Trada Casino support? Trada Casino supports play in several currencies, including GBP, EUR, USD, AUD, CAD, NOK, and SEK. Players are recommended to select their local currency, if supported, since this will prevent them from incurring additional charges for currency conversion. It is essential to pick your preferred currency during the registration process because Trada Cadino does not allow players to change currencies if they have already signed up with real-money accounts. How can I deposit to place real-money bets? Registrants at Trada Casino are provided with a good range of secure banking options to choose from. The casino works with credit and debit cards by Visa, Visa Electron, Maestro, Switch, Solo, and MasterCard. Other methods of electronic payments include Webmoney, Trustly, Sofort, Skrill, Neteller, Paysafecard, ecoPayz, iDeal and Giropay. It should be mentioned that some of the payment options are available for local use only and may not be supported in your country of residence. 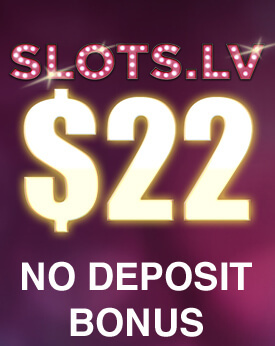 Deposits are processed immediately and do not involve charges on behalf of the casino. To remind customers they must gamble responsibly, Trada Casino allows them to set their own deposit and wagering limits. You are highly recommended to take advantage of this option as it enables you not to overspend. Am I allowed to sign up with a real-money account at Trada? 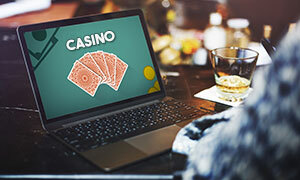 The casino accepts registrations from a variety of countries as long as the applicants are of legal gambling age (18 years old or above) and reside in a jurisdiction where online gambling is legal. Players should remember that gambling legislature varies depending on where they live and it is their sole responsibility to ensure they are not breaking the laws of their country of residence. As of the current moment, Trada Casino does not accept registrations from Australia, Belgium, France, Denmark, Hungary, Japan, Turkey, Italy, Spain, Poland, Portugal, and the United States, among other countries. Before you proceed with opening an account, we advise you to check the full list of unsupported countries. You can find it on Trada’s website in the Frequently Asked Questions section. The answer to this question largely depends on what type of banking method you are using. Withdrawals processed via digital wallets like Skrill and Neteller are cleared from players’ casino accounts within 6 hours after the request and hit their bank accounts immediately afterwards. Card withdrawals require between 1 and 3 business days to complete. If you cash out via standard bank transfers, you will receive your winnings within 5 business days. Those who have deposited via online banking services provided by Trustly and iDeal will have their winnings processed back to their bank accounts.